This project's goal was to create and render an underwater scene. 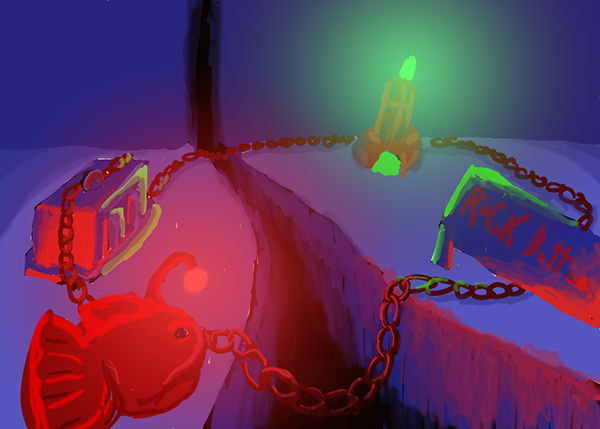 My inspiration for the scene was an area from an episode of Spongebob Squarepants, called Rock Bottom. First, I sketched out the scene's composition and general color scheme. 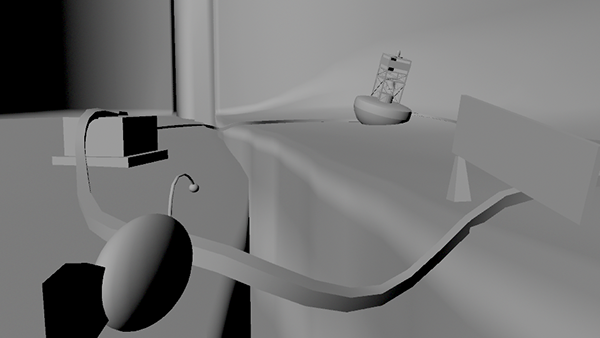 Then, I began placing primitive objects in Maya to lay out the scene's 3D composition. 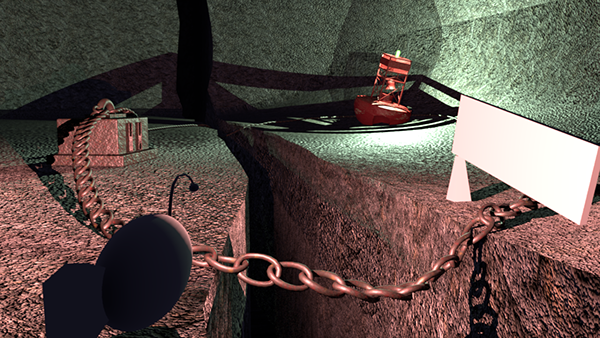 Next, I created some of the lights, and added some primitive textures to flesh out the scene a bit more. Finally, I imported my finalized models with finished textures and added some volume fog effects for the sense of depth to the scene. This render was made using Maya for the lighting, modeling and rendering, Photoshop for some of the textures, and Mudbox for the normal maps on the fish. 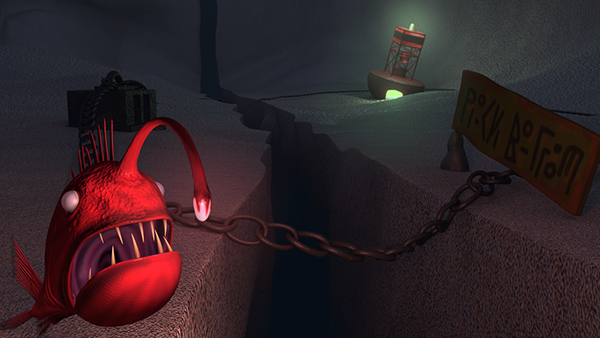 A 3D Render of an underwater scene inspired by the Spongebob Squarepants setting, Rock Bottom. 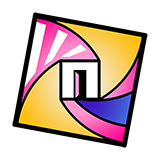 Rendered in Mental Ray in Autodesk Maya, also used Autodesk Mudbox and Adobe Photoshop.